Sponsorship requests are quite difficult to make for first-time writers who solicit money for sponsorship cases. The best way to compose one is to identify what you intend to accomplish by raising money and the objective that comes along with it. 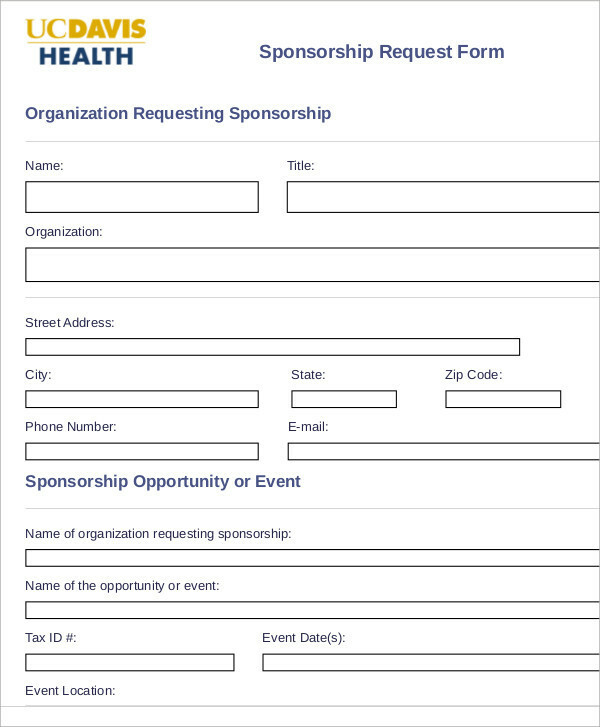 Our Sample Forms will help guide you make a sponsorship request in a standardized format for easy use. 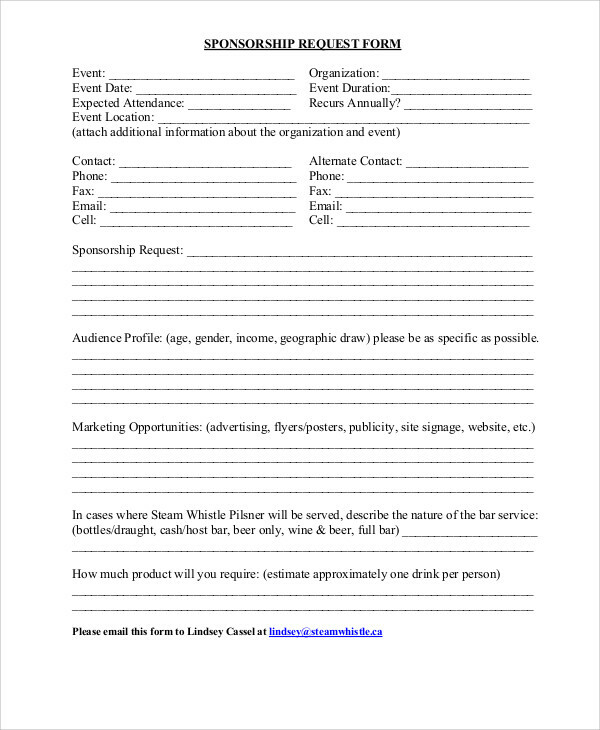 The samples are shown in a way that will assist you in the basics of writing a sponsorship request. These are all available free for downloading in either Word Doc or PDF file. 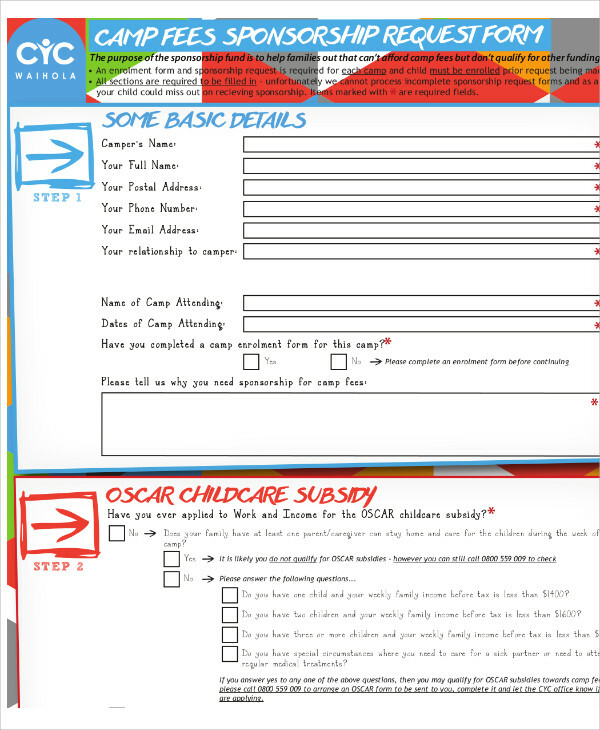 Sponsorship requests follow basic steps just like any funding letters that are written to address something. 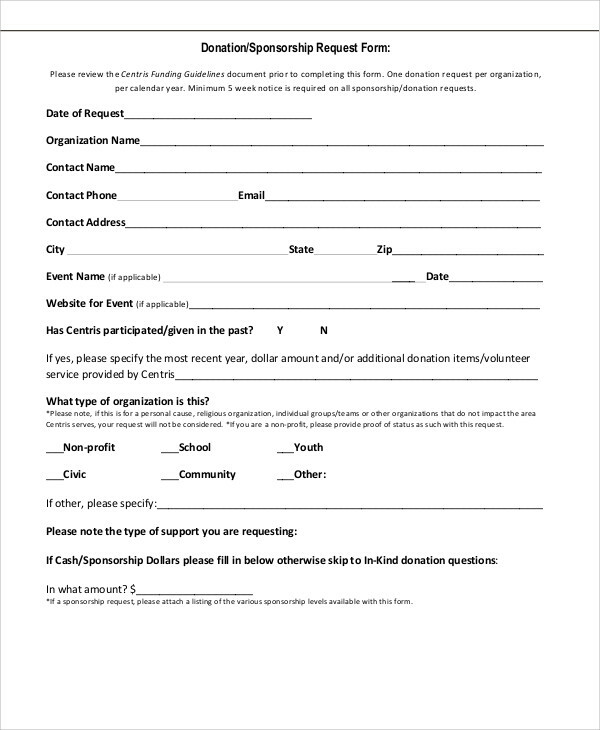 Our forms will help make the sponsorship request easier by having a pre-outlined form examples that you can fill out. 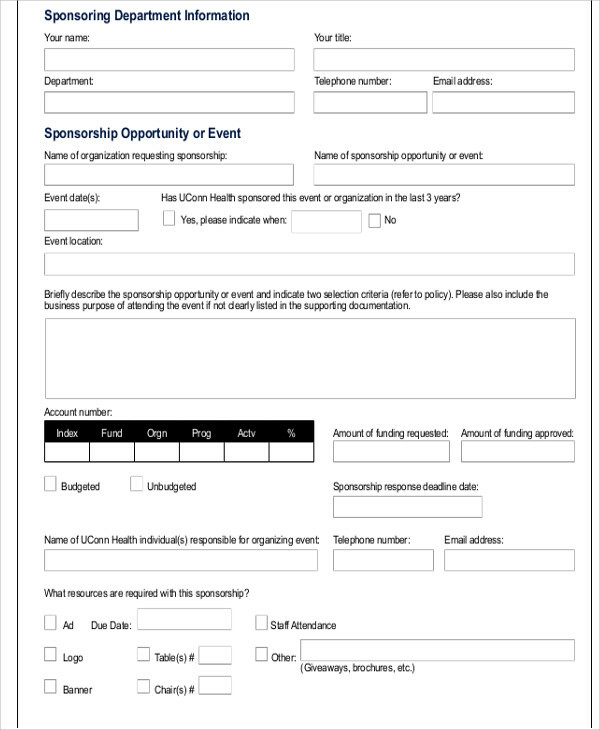 In writing the sponsorship request form, you must have a detailed explanation of your organization’s goal or event in order to outline the budget being needed. 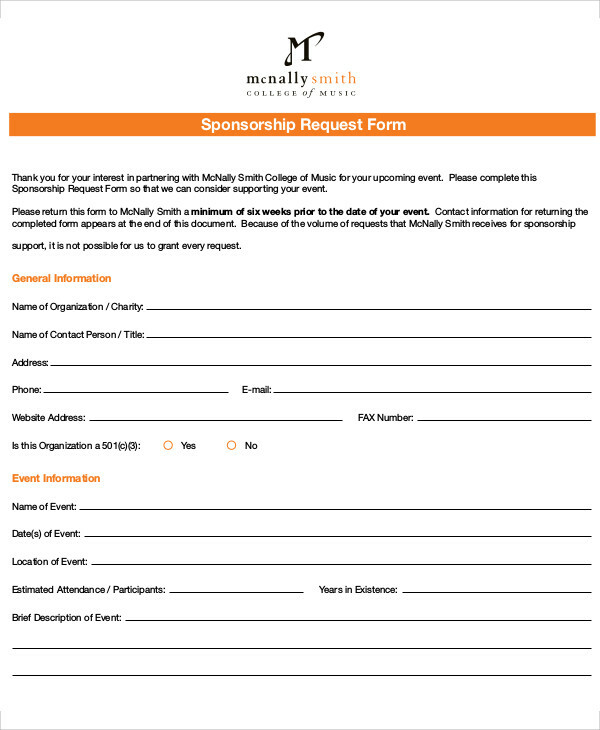 This is intended to make the donor understand how much money is needed to justify your sponsorship request. 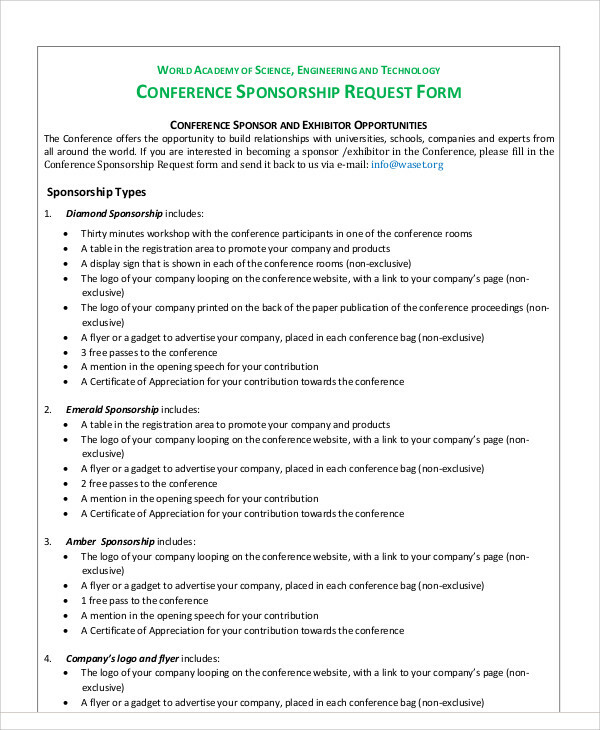 Write the full name of the sponsor, company, or organization you are sending the request to including their full contact information and e-mail address. For more than one sponsor, list all their complete names and full contact information. Cite the specific amount needed plus the name of the program or event. Don’t forget to include how you appreciate the ongoing business relationship you have with the sponsor and that you intend to continue with the relationship. 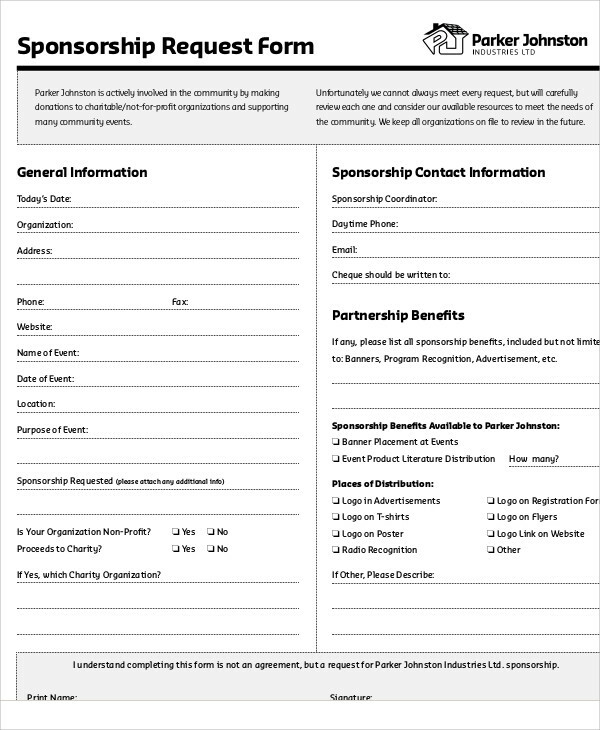 Give an overview of the program or event and explain why the sponsorship is important. Make a brief overview of the program and explain it in such a way that the recipient is convinced the sponsorship is worth considering. Attach a detailed proposal for consideration and include your statement on contacting you anytime should there be any questions, and don’t forget to thank the recipient for his time and consideration. Write your closing statement by again expressing your appreciation followed by your full name and contact information. Alternately, you can create the detailed program overview, its cost, and project description in a new page with itemization and charts to give a full overview of the whole program and its overall purpose. Print your cover letter and budget proposal and sign the cover letter before submitting everything to the sponsor. For other kinds of form requests, please refer to our website’s other samples on Transcript Request Forms and Job Request Forms that may be helpful for users who need to use their forms for these purposes. 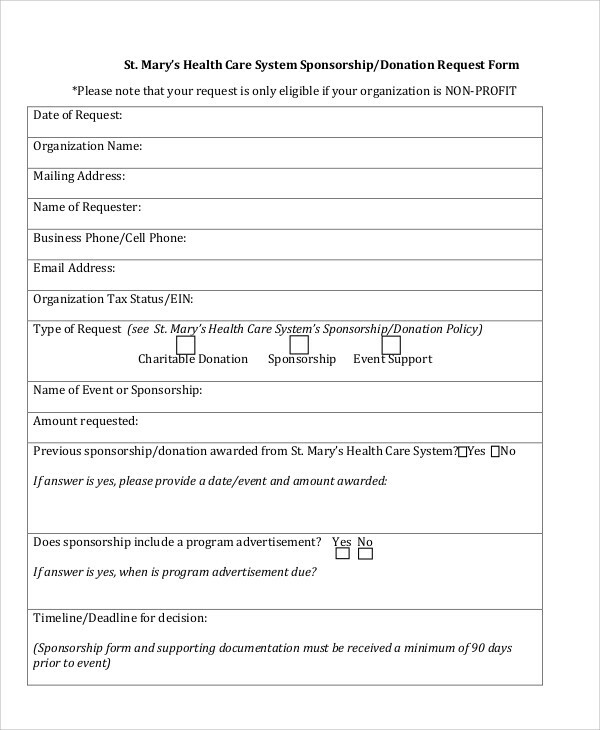 Our sample sponsorship forms come with a variety of cases that you can download and edit on your own sponsorship appeal. This way you can list some of your own important facts for your project and explain in detail why the need for sponsorship is extremely important. You can also explain how the much needed funds can go a long way into making a difference. Lastly, don’t forget to acknowledge the sponsor in either the program aspect or through an advertising slot on the event date itself. This is a form of showing how extremely grateful you are for the sponsor’s support. 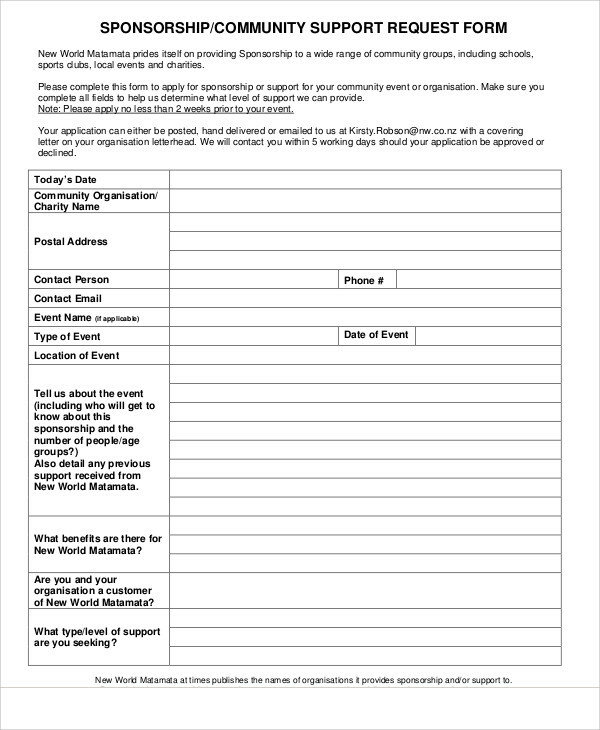 For more of our form samples, please check out our Budget Request Forms that are all free to download, edit, and print for users who may need to use these forms.